Twist and turn, screw and unscrew to form creative figures with colorful Plan Toys Nuts and Bolts. 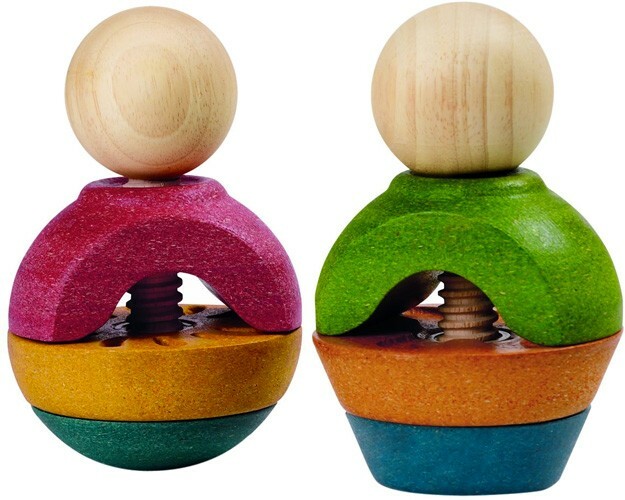 The cute looking, wooden Nuts and Bolts allow kids to use their imagination to create favorite forms. With two large bolts and six threaded geometric pieces, this play piece can be assembled and reassembled in various formats to form an array of imaginary designs. Build strength in little fingers by encouraging children to use their imagination to create forms and figures. All products from Plan Toys are made from organic rubberwood and finished with non-toxic, vegetable-based dyes and paints.